Justin and I were invited to participate in this year’s Indy Pet Carnival sponsored by Indyvet. 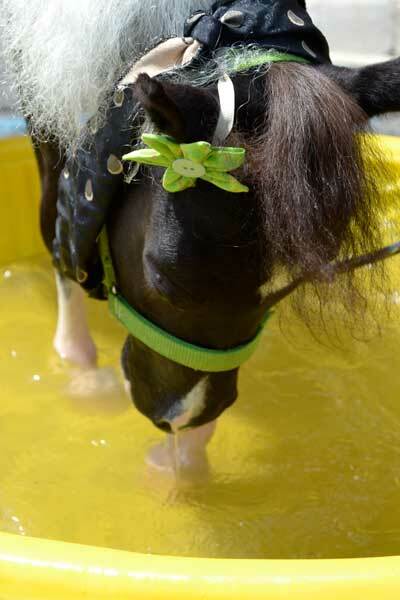 He loves to meet people and other animals especially miniature horses. Whenever he sees one he has to introduce himself and sniff noses. He also discussed careers with one of the Indianapolis Mounted Police horses. Although he admires them he decided that his career as an artist is more gratifying to him. You can read about Justin in his full color book “Justin The Artistic Horse” the artist who says neigh. The book can be purchased on our website artistic horses.com.